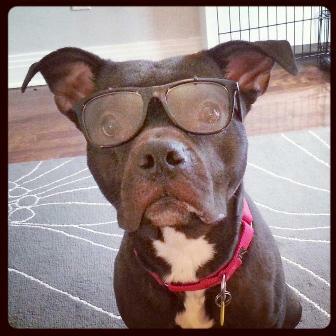 Yoda the Pit Bull: Yoda's Mom, Versatile? 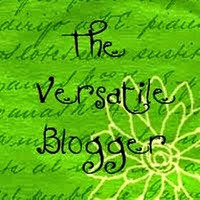 Oh boy, Yoda and I were pleasantly surprised to receive the Versatile Blogger Award award from Lisa over at Dogs N Pawz! Lisa's website is chalk full of info, photos and lots of heart, so go check out her blog! And here we are - a looong while later - accepting the award, but better late than never, right! 2. I'm a young professional and I run my own legal practice, so I am usually pretty high-strung with my mind running a mile a minute. My pets are what mellow me out after a long day and melt the stress away. 3. I love everything about early fall up here in Canada - colourful trees, apple picking, sweater weather, halloween, pumpkin spice lattes, pumpkin pie, pumpkin everything! 5. I listen to so much music of so many different genres, my head is a music library. 6. I think french fries are the best food every invented. 7. I'm a pretty intense fitness freak and I train at the gym at least 5 times a week, despite my hectic schedule. Thank you so much for nominating us! And congrats on getting the award yourself too. How great that you are a fitness freak....I wish I could be a little more intense about that! And BTW, welcome back to you and Yoda! Thanks so much for coming back to read about us and you deserve the award in every way, lol fitness is my thing! keep in touch!! OMD!!!! Boy oh boy are we ever surprised (and HONORED!) to have made your list! HUGE CONGRATULATIONS to you and THANK YOU for including us!! I'm with you on #3 and #5 all the way! I am also in awe of your intellect and talent! Dakota and I thank you sooo much! Thanks so much! happy to hear from you!! Congrats on your award and thank you for the nomination! Thank you Ann! happy to touch base with you again! Thanks for the nomination! Your #4 is me all over:D Whether your a fan of sci-fi or not...I can't imagine a better name for Yoda! Thanks for stopping by All Things Dog Blog. Glad you like the Yoga workout series that includes our dogs. We're enjoying working out at home and the dogs are loving it too. Thanks again!